BY DAN TABOR FILM CRITIC Like most critics and moviegoers, I have a love/meh relationship with M. Night Shyamalan’s body of work. While I enjoyed his last film, 2016’s Split, a genre-bending story of a man with 24 distinct personalities, I didn’t love it until those final moments when Night served up one of his patented pretzel plot twist endings. The big reveal at the end of Split is that the whole time you’ve been watching quasi-sequel to 2000’s Unbreakable, a film that I will argue birthed the superhero genre as we know it today. Split was the shot in the arm the director’s troubled career needed to get himself back into the big leagues and give himself carte blanche on his next project. Wisely he chose to ride that wave and finish the trilogy, bringing back Bruce Willis and Samuel L. Jackson to cap off the story he started almost 20 years ago. Arguably, Unbreakable is M. Night’s best film to date, given that the twist at the end felt legitimately earned and the characters he created in that film were probably his most realized and three-dimensional. Like Unbreakable, Glass subverts our current expectations for this genre and it’s the unpopular artistic choices he’s made that reminds me of Unbreakable when it first was released. Glass picks up shortly after Split, with the Horde (James McAvoy) on the loose and David Dunn (Bruce Willis) hot on his trail. In the time since Unbreakable, David has opened a security firm that allows him to keep the city safe during the day and clean up the Philly streets at night, nattily dressed in the The Overseer’s trademark green slicker. With the aid of his son (Spencer Treat Clark surprisingly reprising the role) as his ‘guy in the chair’ the father/son team is trying to find the Horde before he dispatches his latest batch of hostages. It’s at this point in the film, as The Overseer and The Horde finally face off in epic comic book climax fashion, that M. Night completely pulls the rug out from under the audience. Both David and Kevin are apprehended by Dr. Ellie Staple (Sarah Paulson) and forced to spend three days in a mental institution in what is essentially gay conversion therapy for people who think they are superheroes. The elevator pitch is they have three days to give up on their superhero ways and admit they are just regular people who happen to be mentally ill or get lobotomized, since she believes the frontal lobe is what activates this super powers delusion. Things hotten up when it is revealed that Elijah Price, aka the supervillain Mr. Glass, is also institutionalized at this very facility and has been kept in a vegetative state due to his super intelligence and prior escape attempts. The first act of Glass shows that M. Night knew exactly the film we expected to see, but once Kevin and David are apprehended the film morphs and changes from Unbreakable to Spilt and back again. It’s a bold choice given Night could have easily just cribbed a page from Marvel or even DC and turned in his version of (insert edgy superhero property film here), but Glass is its own monster by design and this messy hybrid is the ending the trilogy needs. These creative choices combined with the literal pile of plot twists heaped on the viewer at the end are already proving to be divisive for early audiences. But in a world where we have grown accustomed to filmmaking by committee for these kinds of films, Glass feels very much like a singular vision. The film concludes M. Nights career-long exploration of the ongoing transformation of humanity, this time introducing religious subtext to the weighty comic book mythology of heroes and villains. Like all things Philly, Pat, Geno’s and Jim’s fans will be fighting over whether or not M. Night properly bookended his superhero trilogy for the foreseeable future. It may not have been the ending we were expecting, and I think that’s why I probably enjoyed it so much. It’s delivers a rare satisfying closure for these stories, but still manages to leave the door open just a crack in case Night wants to revisit this world again. (Netflix series, anyone?) It’s the not just M. Night here but a completely committed cast led by Willis, Jackson and McAvoy who spend every second on screen bringing their A game to the story, fully realizing these damaged but ordinary people gifted with extraordinary abilities. Just as we see the threads of these character’s stories come together Night drops his final end game, one that is characterized by an all too believable bleakness that gives Infinity War a run for its money. 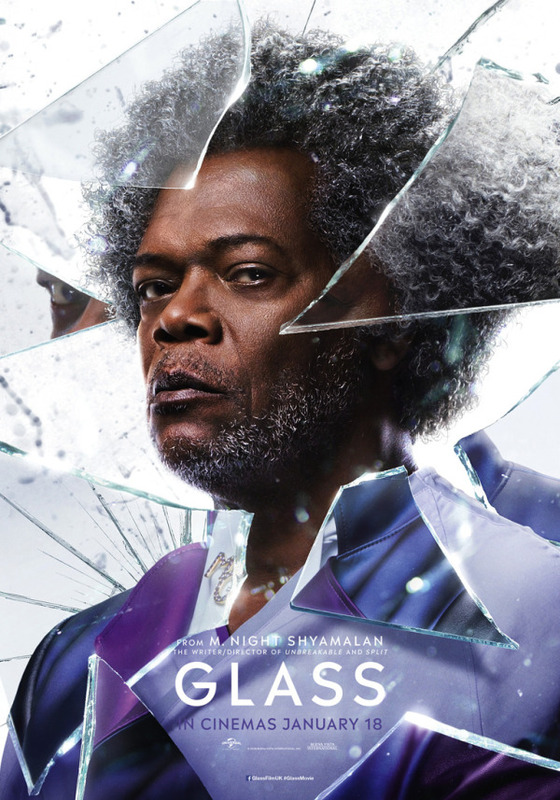 While the realistic superhero film is beyond ubiquitous these days, Glass provokes as it proves there are still new ways to tell these stories and, more importantly, that they are still worth telling. This entry was posted on Friday, January 18th, 2019	at 4:05 pm	and is filed under News	. Responses are currently closed, but you can trackback from your own site.